SideSwiper Net -- SSN: UA3AO's keys. 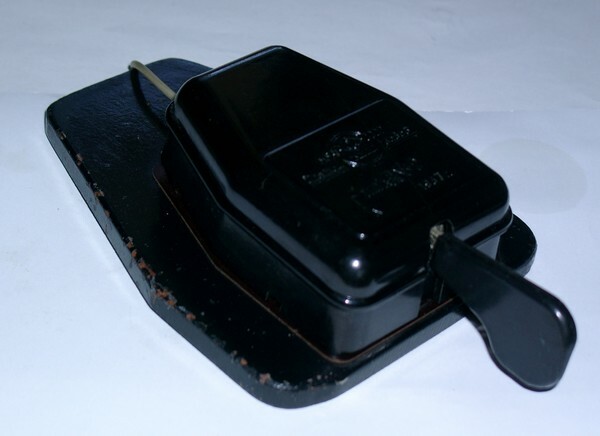 Dentsu Seiki MS-2 key (Japan, 1953). Home made SAW in 1964. Homebrew Sideswiper - May 26, 2010. Sideswiper made by Valery - RA1AOM. 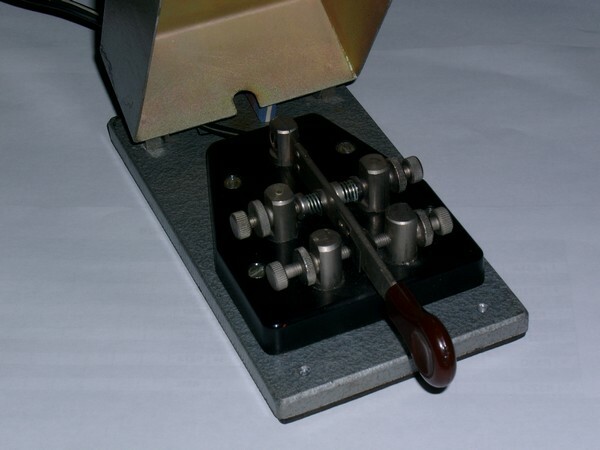 This is a single-lever paddle Vibro-keyer well known all over the world like a modern-day classic. 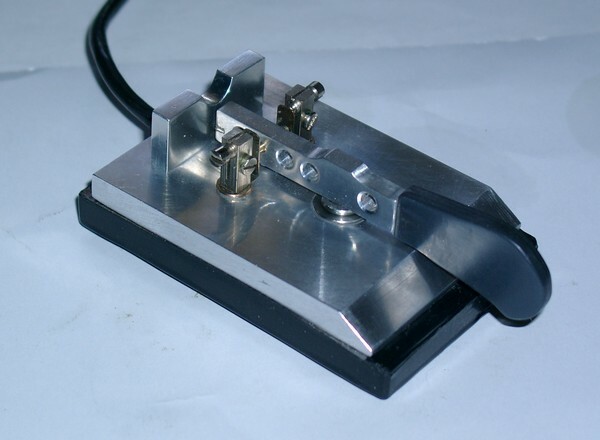 It is my main instrument for QRQ and I wire it to be used in The SSN as well. [UA3AO]. 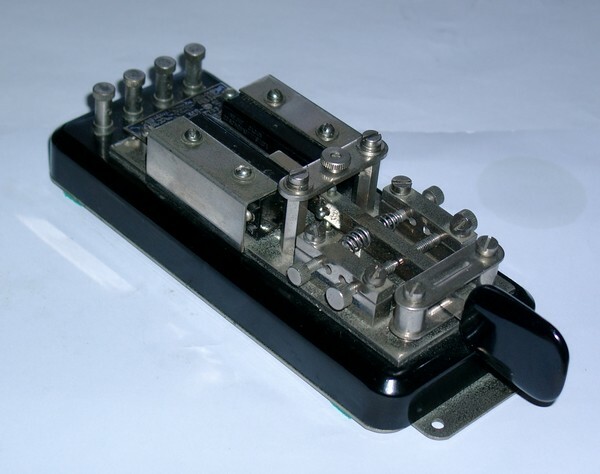 It is a microswitch compound operation Morse key. May be used like a sideswiper - very good. And as a single paddle...well, let it only be a sideswiper. [UA3AO]. 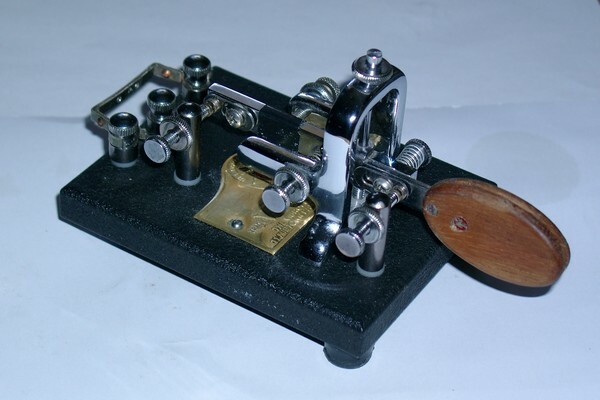 Predecessor of the KDM-2 (see below), this key was used in the Navy, the operating feel is very fine. [UA3AO]. Used by commercial and fishing naval officers. It was also very popular among radiomen of The Soviet Polar stations. [UA3AO]. Made by my good friend RV3AE - OM Anatoly for me. "Get enjoyment with this cootie" - he said. And I do! [UA3AO]. 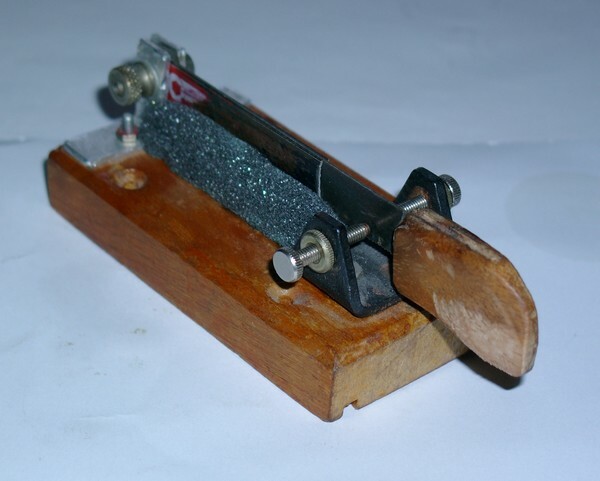 My first home-made one... And all my CW keys collection one can see on the RKK Radio Museum web site. [UA3AO]. I made this sideswiper. Its parts were taken from a box of things to repair keys, bugs etc. 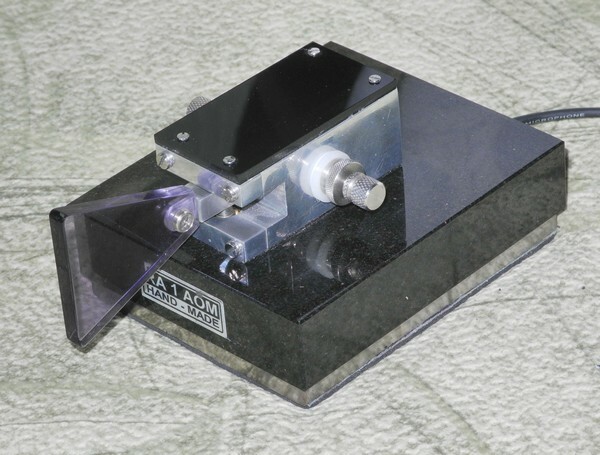 Dimensions of the key's base are 100x70x4 mm. All yellow brass parts. Fingerpieces made of Perspex. Damper spring settings are made like the so called "swallow's tail" sideswiper. Such design resulted in a very good action. It is not a Stradivarius violin but a very nice sideswiper... HI. [UA3AO]. 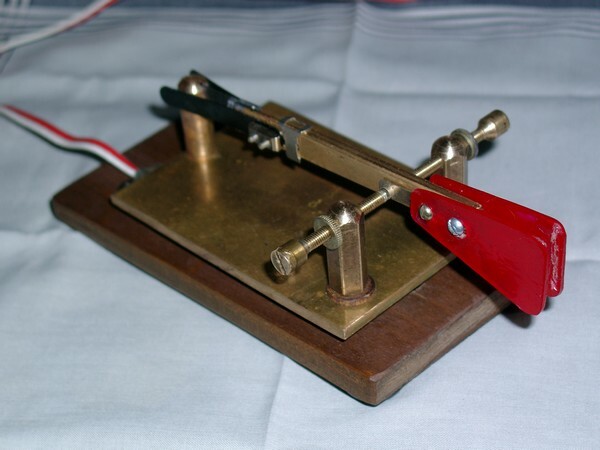 I tested it like a single keyer at QRQ up to 60 wpm. It works very good and has perfect operating feel. Base of the key made off gabbre ( sort of granite) and has dimensions 100x120x35mm. White metal is titanium. [UA3AO]. Page updated on May 14, 2013.